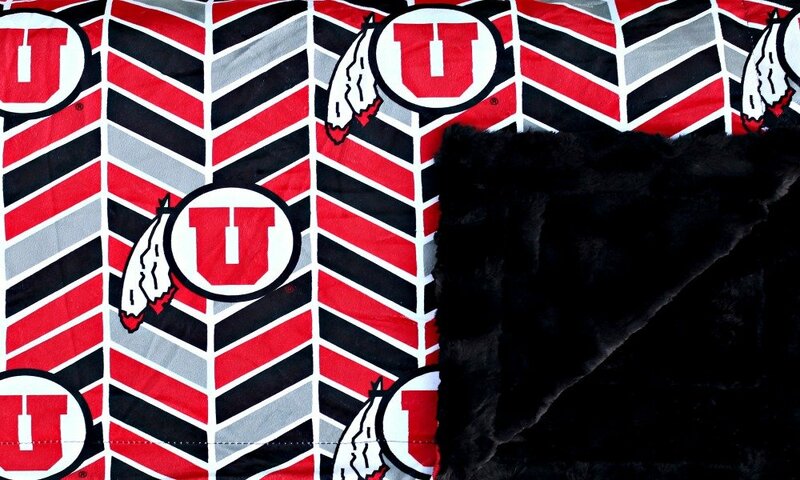 Your own U of U Minky is the best way to enjoy the game and flaunt your team pride! University of Utah red, black, and gray herringbone print with the officially licensed U of U logo. Plush black minky on the back and no ruffle. Exclusive design can only be found at Minky Couture.